People use the best supplements available for various reasons. Individuals looking to increase their muscles, or reduce weight, or even gain weight (in case of underweight individuals), all take supplements to achieve their respective goals. Supplements are basically dietary ingredients that you take in order to give your body the nutrients that it may be missing. 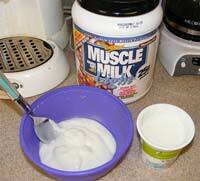 Some of the more popular supplements are protein powder, fish oil, multivitamins and creatine. Proteins can be taken through a well balanced diet, but protein powder provides a better dosage of proteins with the lesser amount of calories. Those who workout, like to drink protein shakes to enhance the effects of their work out and achieve faster muscle growth results. Fish oil, even though a little expensive is popular because it proves to be a natural protector against various diseases. Multivitamins are beneficial for those who don’t have an adequate fruit and vegetable intake. However, instead of taking multiple dosages, its better to take a single pill that fulfills the daily requirement entirely. Creatine is naturally produced by the body and is stored in muscles for use during activities like exercise. Taking the creatine supplement boosts stamina, muscle recovery and growth, enabling people to work out for a longer period of time. Choosing the right sort of supplement can be pretty confusing as they are available in an increasingly large variety. However, whenever purchasing a supplement that you think is best for you, keep in mind your major health concern i.e. you need, review the safety risks by taking consultation from a doctor, make sure you’re not allergic to any of the ingredients and last but not least, take care not to compromise on quality for a lower price. When it comes to matters of heath and well being, spending a little extra is always worth it.